In recent years, the conception of the psychopath has gained a new upsurge of interest. Popular culture’s sensational image of Hannibal Lecter in the movie Silence of the Lambs and notorious killers like Ted Bundy have long cultivated public fascination. Now, awareness is spreading beyond these portrayals of outlandish criminals. More people are beginning to recognize the existence of socialized psychopaths who are not so outwardly violent. Psychopaths walk among us, quietly blending into society. They could be corporate CEOs who exploit their workers, politicians who lie to get elected or Don Juan-like womanizers who inspire love to play with others hearts. Roughly 1-2 % of individuals in overall society are estimated to have been affected by this pervasive personality disorder (Neumann & Hare, 2008), yet some suggest these numbers are conservative and that many go unnoticed (Kantor, 2006). The difficulty of accurately identifying psychopaths partly lies in a significant ambiguity among mental health professionals. Psychopathy expert, Robert D. Hare (1996) described the pivotal shift that occurred in 1980 with the publication of the third edition of the American Psychiatric Association’s Diagnostic and Statistical Manual of Mental Disorders (DSM-3), concerning the diagnosis of psychopathy. He noted how in this standard classification of mental disorder that has become the clinician’s bible, psychopathy was renamed antisocial personality disorder (ASPD), and defined by “persistent violations of social norms, including lying, stealing, truancy, inconsistent work behavior and traffic arrests” (para. 5). Hare (1996) explained how this change was made based on the reasoning that affective and interpersonal traits that play a primary role in understanding psychopathy were difficult to measure. As a result, this diagnostic criteria of ASPD that mainly refer to criminal and outwardly observable antisocial behaviors, stripped off personality traits that are critical factors inherent in psychopathy. The trend of omitting the traits unique to this pathology has not been overturned to this day in the latest version of diagnostic manual DSM-5. Along with this blurring of diagnosis, the very nucleus of this psychiatric disorder seems to have contributed to creating this lack of clarity. In his seminal work The Mask of Sanity, first published in 1941, psychiatrist Hervey M. Cleckley articulated how, among other personality traits such as their superficial charm, emotional poverty and egocentricity, the essential characteristic of psychopathy lies in its deceitful nature; hiding their lack of internal structure in a façade of normalcy. Without knowing what to look for, even for professionals it is extremely hard to detect the psychopathic individual. This is made even more difficult when the very characteristics involve deception. All this has unleashed this dangerous population with few restraints, bringing great risk to the public. Their ability to fake and hide makes their exploitation invisible to the public eye. Oftentimes, people do not recognize abuse in a relationship until much of the damage is done. There are even cases where those who suffered harm do not realize they are victims. Now, with the Internet and social media, a new level of education is happening. Through YouTube channels and online forums, those who experienced significant pain inflicted by these deranged individuals are coming together to gain validation that is desperately needed, yet often lacking in formal therapy. They are spouses, friends and co-workers, whose life had been ruined financially, mentally or emotionally. Those who had close encounters with these unknown members of society have seen the true face of psychopathy. With this sharing of first hand experience and witnesses outside lab experiments, the mystery of psychopathy is slowly being unveiled. In Without Conscience, Hare (1993) describes a psychopath as “a self-centered, callous, and remorseless person profoundly lacking in empathy and the ability to form warm emotional relationships with others, a person who functions without the restraints of conscience” (p. 2). The elusive core of this pathology is an absence of empathy. This sets those affected apart from the rest. People equipped with the ability to put themselves into another’s shoes often take this attribute for granted and don’t recognize the crucial role this seemingly innate aspect of human nature plays in forming a sense of one’s own self. Humans are social beings. We exist in relation and develop identity through making connections with others at an emotional level. For instance, mother’s validation and proper attuning to her baby’s needs is crucial for infants to cultivate their sense of reality. Psychopaths do not bond in the same way most people do and have not secured healthy attachment to caregivers. Because of this lack of attachment, argued by Hare (1993) as being a symptom of psychopathy, they cannot develop their identity based upon concrete reality. Empathy unlocks the door into the world of a larger humanity, allowing one to experience higher emotions of joy, love and compassion. As the foundation of their identity is divorced from an empathic ground, psychopaths are emotionally held down in a “pre-socialized world”, lacking the full range of emotions (Meloy, 1988). There is nothing inside to hold their identity together. As described in a T.S. Eliot’s poem, they are “hollow men… stuffed men -leaning together, headpiece filled with straw” (1934/1951, p. 56). Out of this vacuousness at the center of their personality, a head grows with an intelligence that is cunning and clever and primarily serves narrow selfish interests. The being personified in this entity is enslaved by an internal void. They are a nobody and are driven to fill an insatiable hunger at any cost. Hare (1993) describes how they are “social predators who charm, manipulate, and ruthlessly plow their way through life, leaving a broad trail of broken hearts, shattered expectations, and empty wallets” (p. xi). Like going out on a hunt, they trespass people’s boundaries, dragging those who enter their proximity into their dark hole of nothingness. Anyone can become a target and once trapped, they are often sucked dry if not completely destroyed. The psychopath’s predation follows certain destructive relationship patterns that they repeat throughout their life. Regardless of differences in background, the victims all share similar cycles of abuse. Claudia Moscovici (2010) on her blog Psychopathyawareness describes these patterns in three stages; idealization, devaluation and then discard. The first stage of a psychopathic relationship is idealization. This is a powerful and seductive period when psychopaths allure their potential victims. With superficial charm, this cunning and manipulative population enchants their targets. They put their new love interest on a pedestal, saying whatever the person wants to hear, transfixing whoever has become the unfortunate prey. It could be a whirlwind romance or promising partnership. Showered with flattery and adulation, targets often feel they are finally getting the appreciation they deserve in life. In Snakes in Suits: When Psychopaths Go to Work, Hare and leading organizational psychologist Paul Babiak (2006) described this period as an assessment phase, where psychopaths examine their targets’ value and utility. They outlined the four main messages that psychopaths convey to their targets to create an instant connection, which they call the “psychopathic bond”. These are: 1) “I like who you are”; 2) “I am just like you”; 3) “Your secrets are safe with me”; 4) “I am the perfect friend, lover, partner for you” (p. 74-78). If you are chosen, you will be adored and made to feel special. In their idealizing gaze, you are a center of the universe and can do no wrong. This newly acquainted friend or lover taps into fears, insecurity and deep wishes and morphs themselves into becoming anything their victim wants them to be. Their seemingly caring gestures appear very genuine and many mistake this as empathy. Later, targets would reflect back on that exciting beginning and feel that they had been fooled. Hare describes how, unlike other mental disorders, psychopaths are rational and that “their behavior is the result of choice, freely exercised” (1993, p. 22). Although it is true that some of the deviants are calculative and indeed plot all the way through, at the same time, as Hare suggests, it is often done more instinctively and is not necessarily planned out. Their love-bombing during this phase rather appears to be an effect of their pathology, caused by impaired emotional processing. So, why do they idealize? The idealization is a part of their pathological makeup. Psychopaths are truly outsiders. Without being a part of the world informed by empathy, they live in isolation and develop a sense of self that is divergent from the majority of society. Researchers point to the psychopath as having a “narcissistic and grossly inflated view of their self-worth and importance” (Hare, 1993 p. 38), a “grandiose self-structure” and a “psychopathology of narcissism” (Meloy, 2001, p. 11). Although psychopathy is different from the other severe personality dysfunction recognized in the psychiatric community as Narcissistic Personality Disorder (NPD), its core of empathy deficit encompasses some of the features exhibited by NPD. Like those who suffer from excessive narcissism, they are trapped in mirrors of self-absorption and can’t recognize others as having their own autonomous thoughts and feelings. Through not being grounded in a consensual reality, they lack objectivity in their assessment of their own selves. For them, reality is constructed not based on who they really are, but who they want and believe themselves to be. Being cut off from emotional reality, they are dead inside and can’t harvest their own energy. So they become parasites and feed off others’ emotional reactions. When they idealize their partners, they are unconsciously wanting to establish a connection to a source of creativity, that which gives emotional sustenance. Through weaving a fantasy and duping the other into their web of deception, they extract the life forces of the victim. For psychopaths, relationship is the stage on which they enact their grandiose fantasy. Others are seen as an extension of themselves, as props that can be used. Anyone who comes their way is screened for their ability to perform a role that serves their plot. Their chosen targets become an object of desire and are pursued with great passion. With beam-like attention, they turn the spotlight on the victims. Through mirroring the victims’ positive qualities, predators disarm their prey and bring them under the luminary light of their narcissistic mirror. In this, the victim’s identity is eroded, yet with constant flattery and attention, they feel pumped up and elated. This internal casting process can be seen as the psychopath launching a parallel persona upon their targets’ identity and then using it as a mask to create a rapport with their target. Yet, this mirroring is not consciously carried out. It is an automatic reflex that happens when they see something they want in others. Also, in some cases, in others’ positive attributes, these self-absorbed individuals see an idealized image of themselves. Like the Greek myth of Narcissus who falls in love with his own reflection in the water and then pines away, this is the effect of psychopaths seeing themselves in another’s reflection that is created by victims favorably responding to idealization and then trying to claim that image for themselves. This mirroring starts to fade after the psychopaths successfully attach themselves to their hosts and is then replaced with mind games. Without being able to feel genuine emotions, the psychopath from a young age studied human behavior and learned how to effectively create a favorable response. They will slowly start to use this acquired skill of clever manipulation to keep their victims inside their delusional bubble and maintain control. What comes next is devaluation, marked as a betrayal with broken promises. This is when psychopaths who had always seen their partners in a positive light will begin to criticize and withdraw their attention. They slowly tear down the pedestal they once put victims up on and engage in subtle ridicule and condescension. Confused, the targets often internalize these criticisms and start becoming convinced that they are not as perfect as the psychopaths initially made them feel and that they have faults just like everyone else. So, why does this devaluation happen? Many who have been taken for a ride wonder why this person who once seemed to love them so much, changes all of sudden. After psychopaths absorb their targets’ good traits, they cannot truly make them their own. There is nothing that can fill their bottomless pit and soon the void starts to grow again. When the initial thrill and excitement of a new target wears off, they get bored. This is the point where those who have been taken in by the charm start to see the mask slipping. While victims begin to have a glimpse of the hollow man behind the mask of the manufactured persona, in the eyes of the psychopath, the victim ceases to be the perfect mirror that reflects back their delusions of grandeur. This happens because those who were made to be reflections in their mirror are living human beings. When victims start to act autonomously, as every human being is meant to do, these malignantly narcissistic individuals experience their self-image fluctuating and their mirror of absorption beginning to shatter. In a sense, psychopaths are like bullets that have been fired by a gun they themselves barely understand. Distortion in the mirror that occurs during this devaluation process is experienced by them as an attack on their very existence. When they start to realize their idealized partner is fallible, they experience injury and believe that what pulled the trigger is coming from outside them. The love of life that they once declared quickly becomes malformed or damaged goods and the victim can even be seen as an object of hatred and contempt. The idealized self-image projected onto their partners now disappears from the mirror and they have to look for it elsewhere. Thus, rinse and repeat. They start chasing a new object of ‘affection’ and begin the idealization phase all over again. Little does the victim know, but the person they had fallen for is now gone. The psychopath has already abandoned their masks. At this point, if the target remains useful to them, they would be kept around, but otherwise, the psychopath moves on, as if the previous victim never existed. The duration of each stage leading up to the final discard depends on how fast the targets catch on to their ploy or whether they cease to be useful. After being cast aside, the victims might feel they were handled dishonestly. They realize that their partners were fraudulent and that what they thought was love or true friendship was an illusion. Those who were wronged ask themselves if their partners really cared about them at all. When the psychopath’s mask is finally blown off and one begins to glimpse the monster behind that mask, one is flooded with questions that may never be answered. It is important not to forget that these are ‘hollow men’. They suffer from shallow emotions and don’t have the same capacity for feeling as most people do. Hare (1993) describes their apparent lack of emotional depth, noting how they “seem to know the dictionary meanings of words but fail to comprehend or appreciate their emotional value or significance” (p. 128). They are “like a color-blind person who sees the world in shades of gray but who has learned to function in a colored world” (p. 129). Without having vital emotional understanding, they mimic experiences they can’t really understand through simulating emotions and parroting words that others use. Without this understanding, those with empathy assume the other has a similar orientation and they fill in the blanks by projecting good attributes and interpreting words of those who lack feeling for others according to how they themselves use language. As the relationship unfolds beyond the initial stage, the differences eventually begin to emerge and the shallow consciousness behind the beautiful words starts to unravel. As they are not tied to others by empathy, psychopaths have little connection to their own history and are uprooted from the shared narrative of humanity. They live in the present moment and are driven by immediate needs and instinctual desires. Just like the hollowness of their soul, their words are empty, rarely matching actions. They promise eternal devotion and love to describe their transient and fleeting desires of the here and now. For them there is no future; there is no past. There is nothing lasting that deeply connects them with other human fellows. They try on one personality and then drop it when it becomes inconvenient and move on to the next as needed. Who are these empty souls, masquerading as friends, lovers and good Samaritans, whose self-gratifying deeds in the end always leave their victims bewildered? The beast inside this small minority of society seizes everything that moves. They conquer the other, turning constantly evolving images of their targets into frozen snapshots of abstraction, which they then possess. In extreme cases, this is seen in the example of serial killers cutting up victims’ dead bodies and sleeping with them. Although the degree might be different, this deadening force that works within is the same. Psychopaths try to wipe out victims’ identity, so to make them a clean slate that can more perfectly mirror their grandiose self. Through lies and re-framing events, they attack their target’s memory, making them doubt their own sense of self. What awaits one toward the end of the relationship, if one does not disentangle themselves in time, can even be a total annihilation of the self. The horror displayed by psychopathy and this moral bankruptcy often provokes an image of evil. In People of the Lie: The Hope for Healing Human Evil, psychiatrist and author Scott Peck (1983) defined evil as a reversal of the word ‘live’, and portrayed it as something that crushes life. They have what psychologist James Hillman (1992) characterized as an “anesthetized heart, the heart that has no reaction to what it faces, thereby turning the variegated sensuous face of the world into monotony, sameness, oneness” (p. 64). Empathy is the foundation of conscience. It is to think with the heart and to feel with others. As the psychopath is delinked from the heart; from that which ties all living beings together, they are in a kind of darkness, where the light of conscience cannot reach. They lack insight about the situations they are in. They can intellectually understand what they are doing, but they cannot be fully conscious of their own actions and their devastating effects. This state of numbness blinds them to the beast within that is devouring their victims. It makes them become deaf to the cries of those who are slowly dying. After the initial honeymoon phase, when their partners don’t defer to the psychopath’s version of reality and question this pretend world, they rush out and punish the victims. When victims strike back, psychopaths often fail to see how those abused are trying to defend themselves and instead twist reality. They deflect, misconstrue conversations to fit a narrative where they are constantly aggrieved and injured, making the victims look like the perpetrators. No amount of love is enough for them. In the effort to communicate with these disordered individuals, words bounce back off their hardened hearts and become echos that the psychopath cannot hear. They rationalize and make one feel what they can’t feel about themselves, transmitting these emotions like poison. Victims are called too sensitive, crazy or imagining things and are further dragged into the predator’s one-sided reality. How can those who are captured in a toxic web escape this snare and stop the bleeding that has been feeding this beast? These hungry carnivores sink their claws into their prey through the innate human trait of empathy and exploit our trusting nature. Most people relate to others in dialogue, giving a space for another’s perspective to enter in the interaction. Psychopaths on the other hand, not abiding by empathy, live in solipsism and operate in a monologue. While victims are trying to understand their perspective, these emotional vampires move quickly to direct the narrative, giving no chance for their targets to participate in the unfolding story as a co-creator. Through being nitpicky and accusative, they make victims back off from asserting their needs and make them walk on eggshells. In relationship with these deadly individuals, what remains unconscious, both the dark and bright parts of oneself become vulnerable for manipulation. 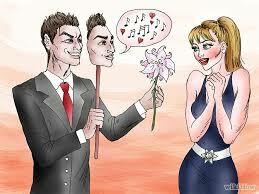 During idealization, the psychopath, like a puppeteer, attaches invisible heartstrings to their targets. They promise to fill a void, play on one’s vanity, mirroring back desires and enamoring victims with their own reflected beauty. Victims would not know until much later how this idealization was conditioning them to act in a certain way. What happens is a transfer of authority, where without realizing it, victims slowly begin to seek for approval from this pretend friend or partner. When the devaluation phase sets in, if victims begin to become aware of what is happening and try to fortify their boundaries, they are often so deep in the fantasy and the fog of confusion becomes so thick that they cannot even see the path from which they came. They often suppress their emotions and take the blame in confrontational situations, so as not to ruin this idealized image. Master manipulators know their prey, their insecurities and desires and know very well which buttons to push to get what they want. Chosen targets become like rats in a maze that leads to a shadow of one’s former self. As long as one performs according to the master’s plot, they will be rewarded, yet when one derails from their story, they are punished. Many desperately try to mend the broken mirror that once reflected their idealized self and focus on fixing what they have been brainwashed to believe as their ‘issues’. For those who have been abducted into psychopaths’ illusory world, the path back to the self lies within. Recovery from the terror of the anesthetized heart calls for fully reclaiming one’s own empathy. This first requires one to have empathy for oneself; to claim all that was disowned within. Through accepting one’s own emotions without judgment no matter what they are, one can make a more conscious relationship with them and recognize how these emotions have been used as a tool for control. One can then break this hypnotic spell and take back the power to define one’s own reality. The relationship with a psychopath is like nothing experienced before. Until it is lived on a personal level, it is difficult to understand the depth of its destruction. This is a kind of psychological warfare being quietly waged upon victims. Psychopaths build up their targets and then knock them down under the rug. In the aftermath, victims may come to realize that they have been in a battle for their own life and that what is at stake is something even larger. This psychopathic invasion into one’s life is an infiltration of our deeper humanity. So, what is the agenda behind this dark force and where is it taking us? In praise of independence, psychopaths condemn human emotions such as attachment and jealously as weakness and deny attributes like compassion and cooperation. They hijack and pull the development of the individuality into becoming a reflection of their dry and deserted soul. We are born into the cradle of nature and unconsciously carried by affects and desires that stem from deep obligation to one another. Governed by this internal law of empathy, emotions that arise from a communal ground such as the sense of guilt or shame or simply feelings for the other, naturally regulate self-interests and restrain actions in consideration of others’ needs. Unless we are ripped away from this protective world of empathy, how will we become aware of it and understand its true value? Psychopaths make us fight against ourselves. Their assault on empathy awakens us to the force that denies and breaks the bond of brotherhood. It gives us an opportunity to find the strength within to resist this will to power. By being pushed to the edge, we are asked to uphold out of free will all that makes us human. When one fights this battle consciously, one can see this ‘evil’ for what it truly is. Hare (1993) shared a view held by some investigators that “behind Cleckley’s ‘mask of sanity’ lies not insanity but a young child of nine or ten” (p. 169). Like poet Rainer Maria Rilke’s myth of dragons being transformed into princesses at the last moment, perhaps these frightening members of society are a part of our own humanity that is “waiting to see us just once being beautiful and courageous” (1992, P. 85). When we find courage to turn to what has become so dark, we find ourselves anew in those who are forgotten or condemned –within the shadows of man. We become survivors and begin to understand the true meaning of this battle. One day, a stranger knocked at the door and opened our eyes to a side of humanity that we didn’t know existed. Darkness had a gift. It let us see the light that shines from within. With this light, mankind may find its true path toward evolution, becoming a species that can truly love. This is our salvation, where lies the potential for redemption of ourselves and the world. This article was posted on Tuesday, January 26th, 2016 at 7:09am and is filed under Psychology/Psychiatry.